My sixth and best trial truck. 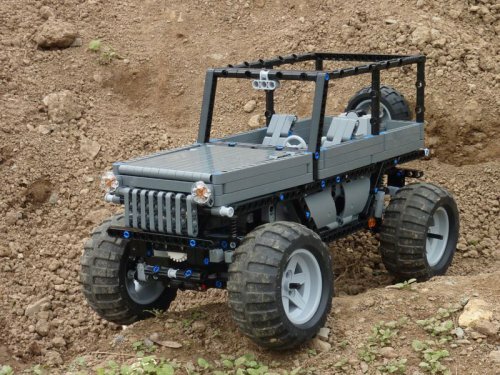 Modeled after iconic Jeep Wrangler, a bit heavier than expected due to bodywork. Weighs in at 1250 grams, so performance is still good. 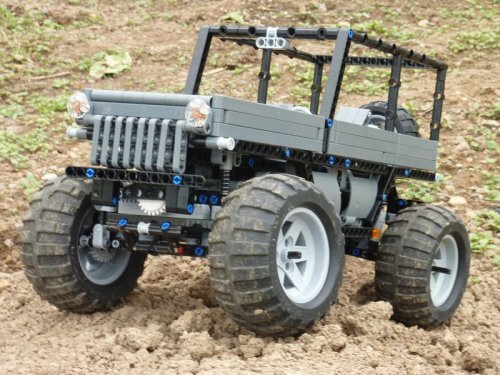 The chassis is brand-new, along with axles, which are based off of zblj’s raptor.